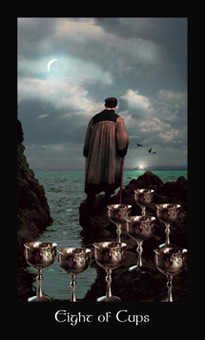 You are strong enough to gain wisdom from a challenging experience. 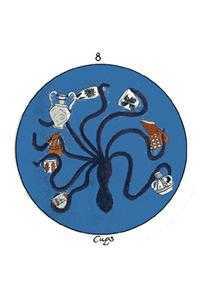 The Eight of this suit is often used to signify a disappointment, emotional setback, betrayal or injury to the heart. 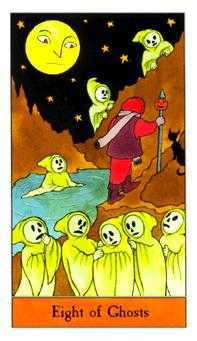 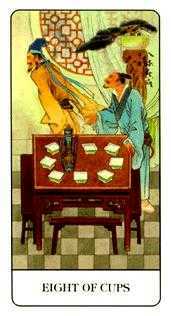 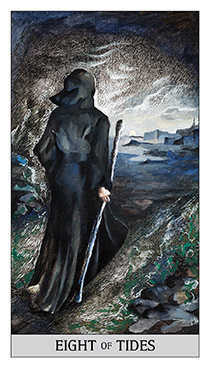 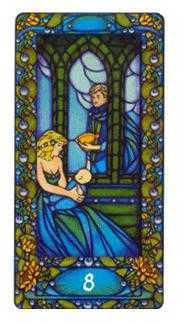 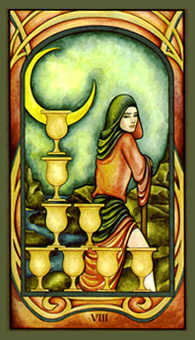 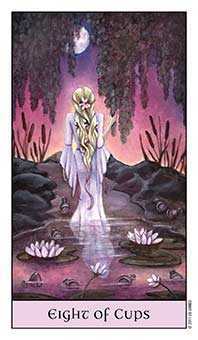 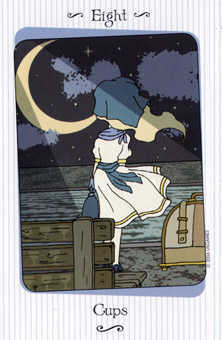 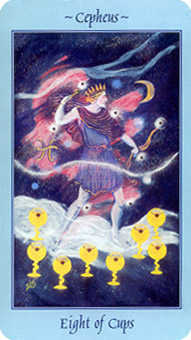 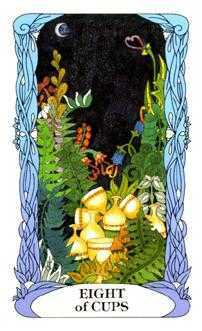 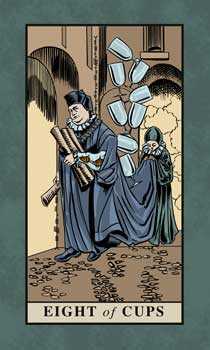 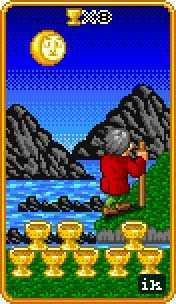 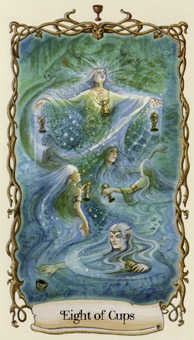 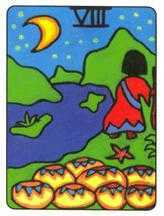 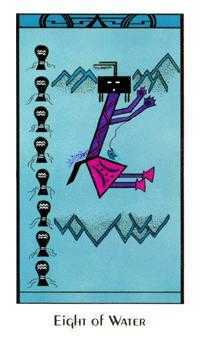 Some Tarot decks illustrate this principle showing a young woman who has just been molested and then cast aside by a stranger passing through her village. 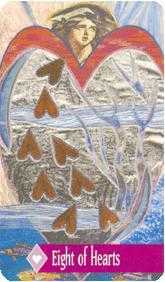 His heartless act has left her vulnerable, with potentially drastic consequences. 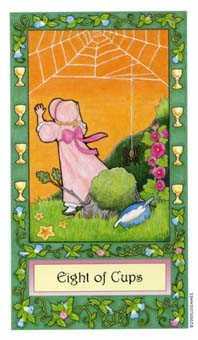 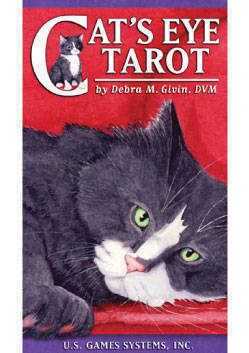 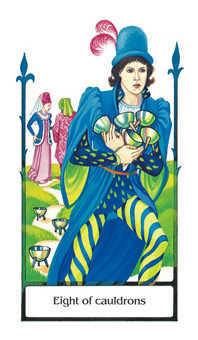 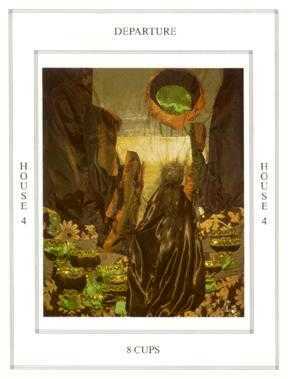 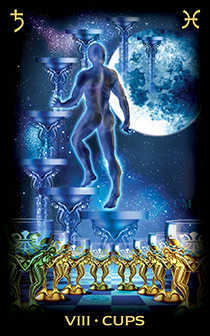 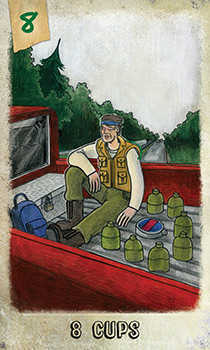 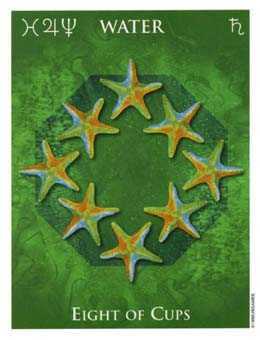 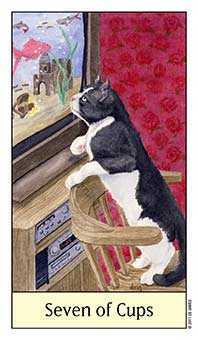 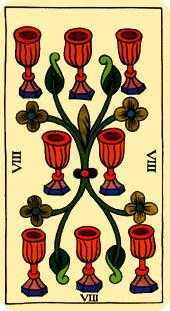 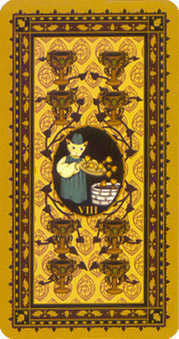 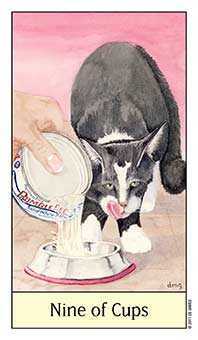 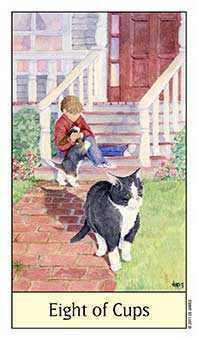 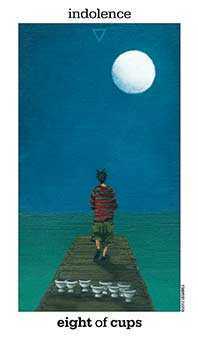 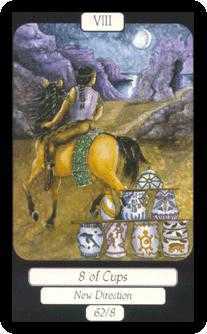 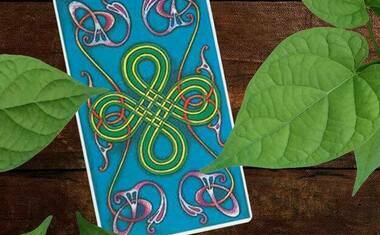 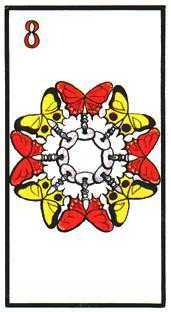 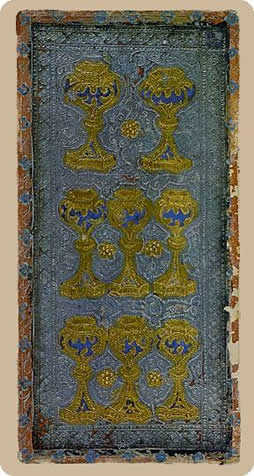 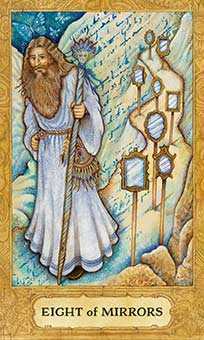 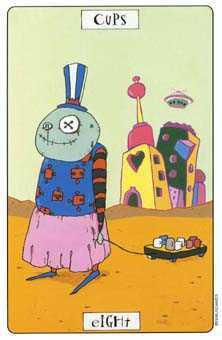 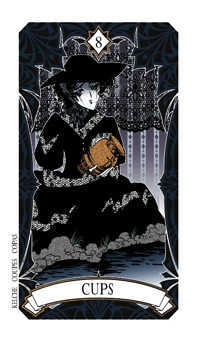 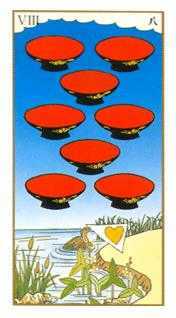 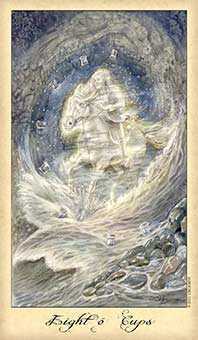 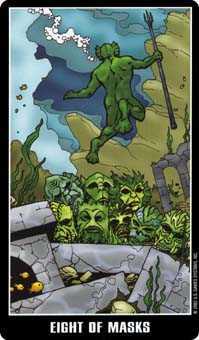 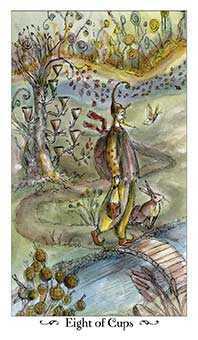 This is a difficult card, but a realistic one, insofar as it warns against misplaced trust and unguarded vulnerability. 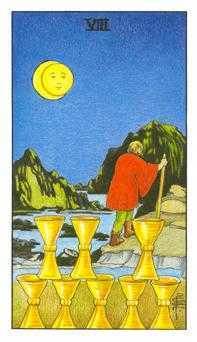 Look deep within to understand what motivates an occasional tendency to be pessimistic or depressed. 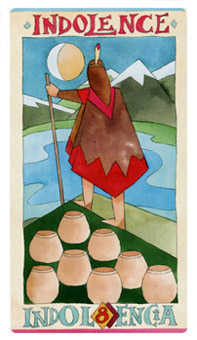 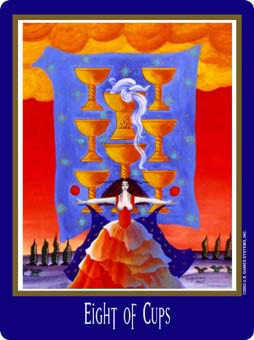 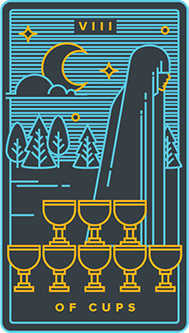 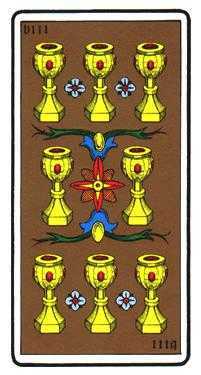 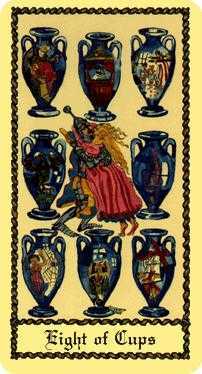 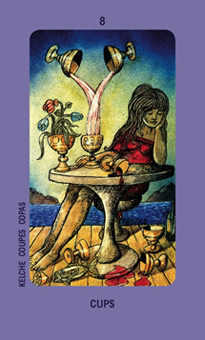 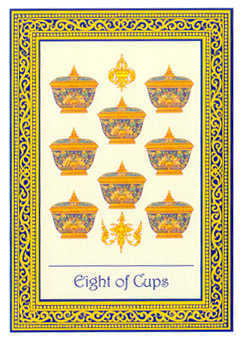 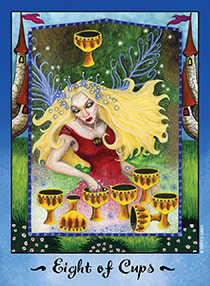 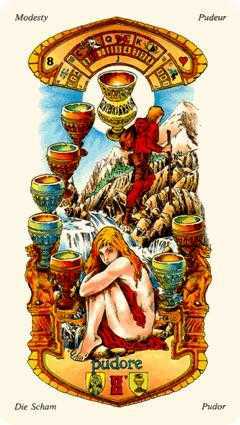 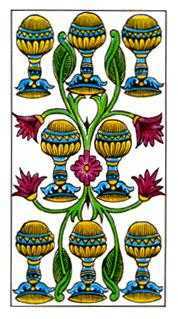 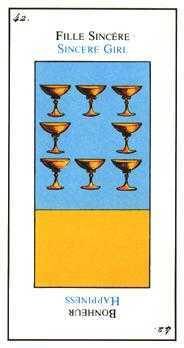 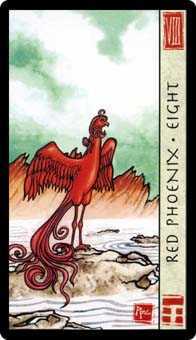 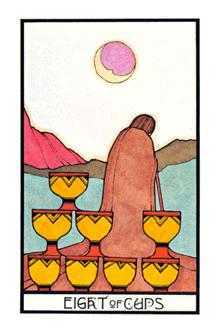 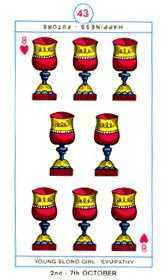 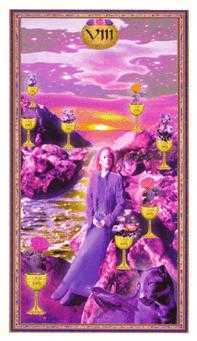 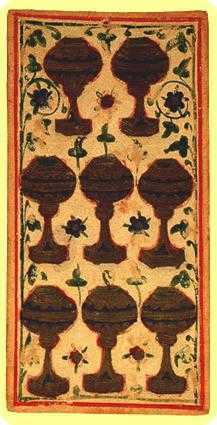 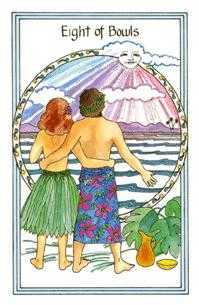 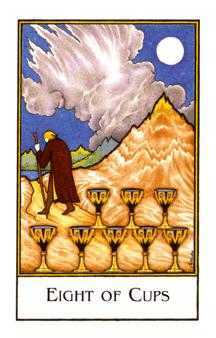 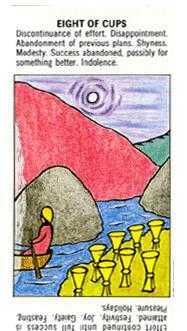 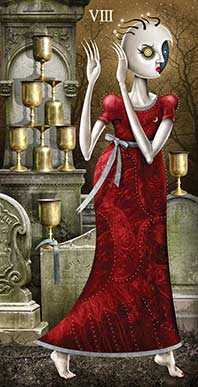 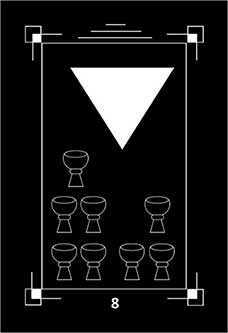 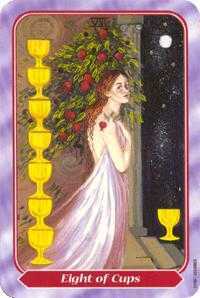 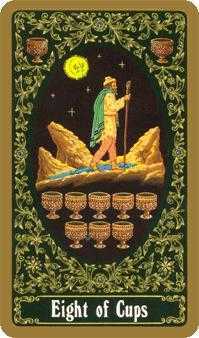 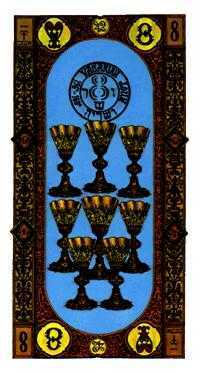 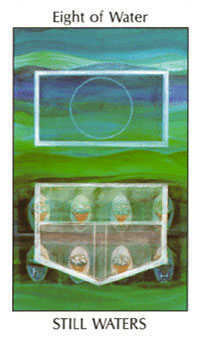 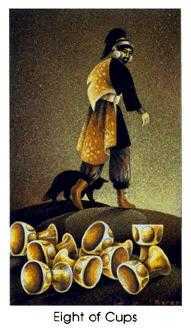 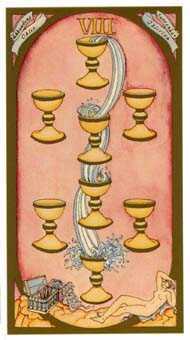 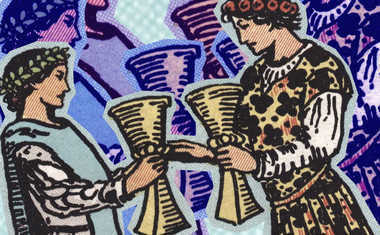 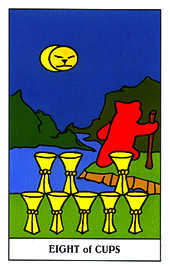 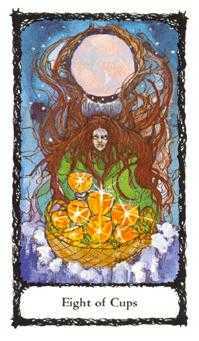 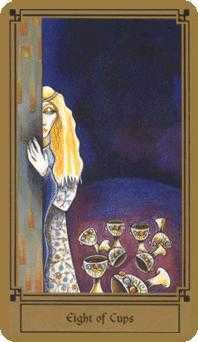 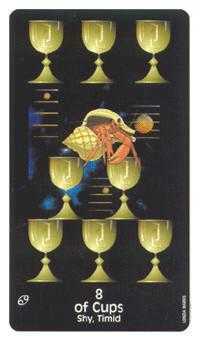 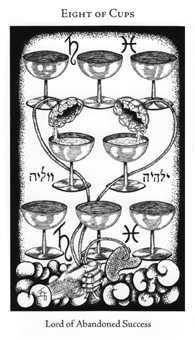 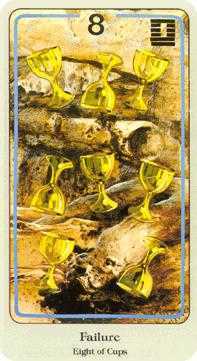 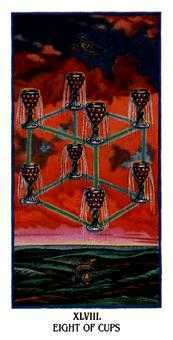 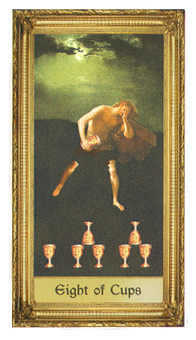 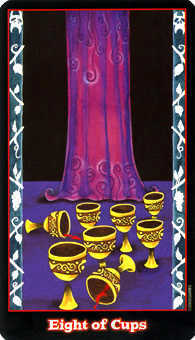 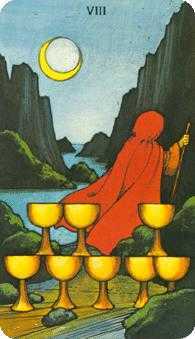 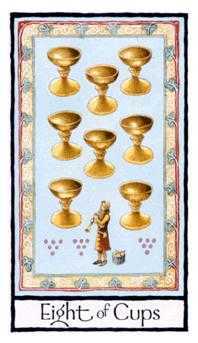 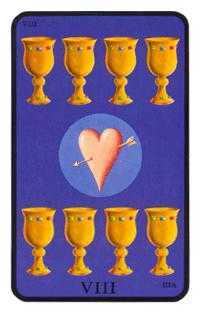 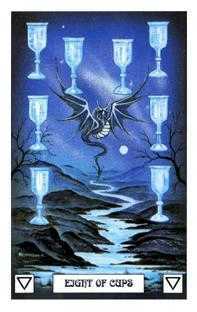 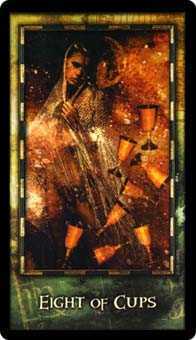 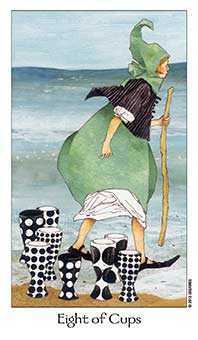 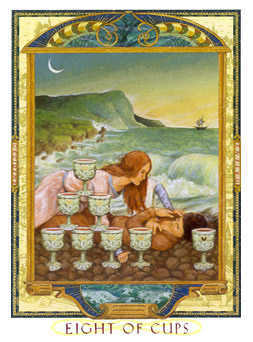 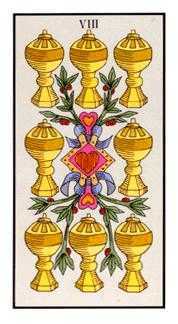 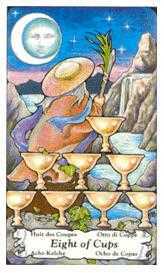 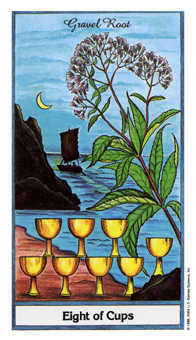 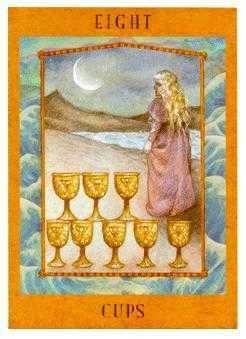 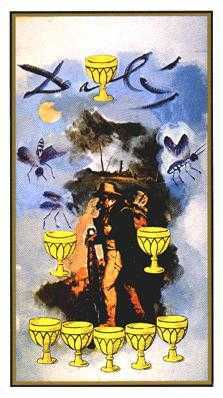 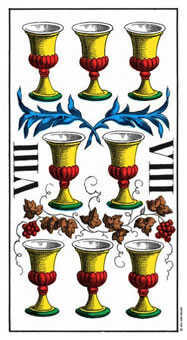 With the Eight of Cups in this position, look inside and recognize the part of you that still nurses an old grudge from a past injury or trauma. 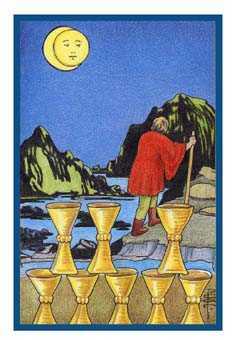 For the most part, your forward-looking self has gotten up and moved along. 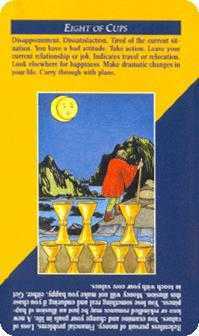 You are getting on with your life. 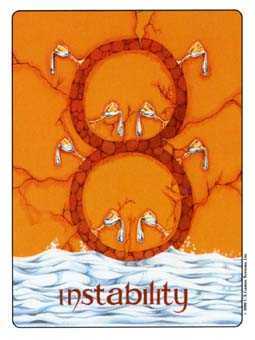 There may still a part of you, however, that holds out and resists the healing. 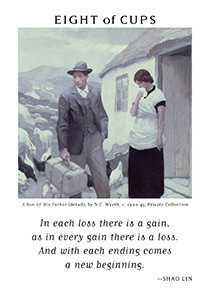 Are you nursing old wounds from painful losses of faith and trust? 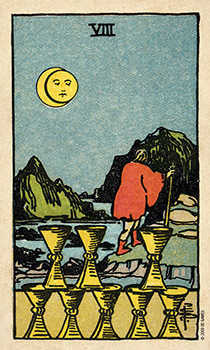 If so, now may be a good time to scrutinize your current motives. 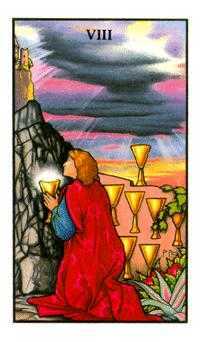 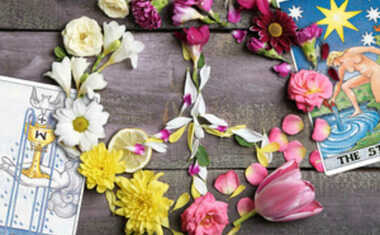 See if you are still being influenced by the part of yourself that cuts short your enthusiastic, optimistic impulses. 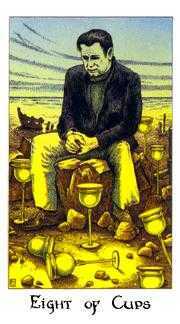 Do not deny this pessimistic tendency. 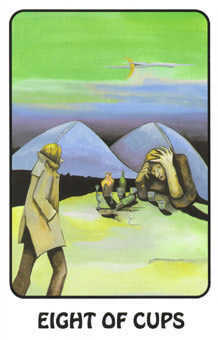 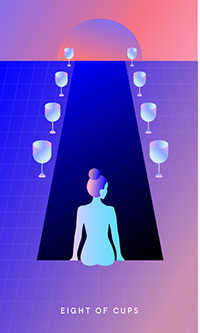 Failing to recognize the truth only causes repression that flares up in another part of our psyche. 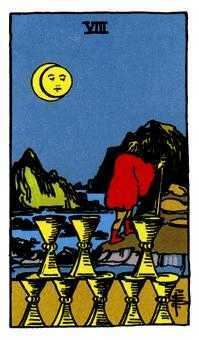 Instead, seek to understand and accept the hesitation and the fear you may feel, and come to terms with them. 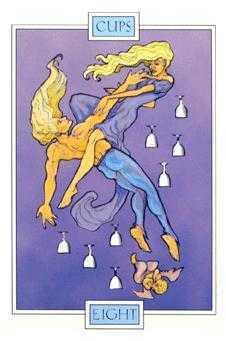 Then you can put some old emotions in their rightful place--out of the way.